A series of MediSpa treatments may be recommended to help achieve your desire of skin care goals. Maintenance treatments to preserve your improved complexion are usually recommended. Schedule a facial or consultation to discuss the treatments that would be best suited to enhance your look. Facials are customized, meeting your individual skin care needs. Products are chosen depending upon your skin type, condition and concerns. Reveal and maintain a healthy complexion with a skin analysis, facial cleanse, deep exfoliation, extractions (if needed), treatment mask and moisture replenishment. Relieve stress with a hand, arm, décolleté, neck shoulder, scalp and facial massage. 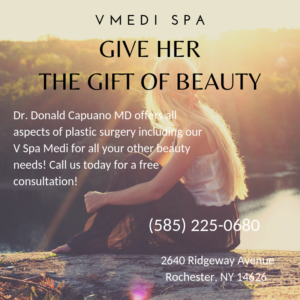 Plan an at home skin care regimen and discover the VspaMedi treatments that would be helpful in meeting your goals. This form of chemical exfoliation is designed to treat mild to severe skin conditions including photo damaged skin, fine lines, pigmentation abnormalities, acne and acne scaring. 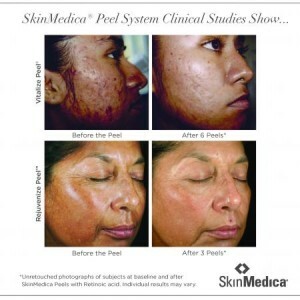 SkinMedica’s in office chemical peels will smooth the tone and texture of your skin, revealing a healthier complexion. Three different strengths of medical grade peels are offered (illuminize, vitalize and rejuvenize), allowing your skin care necessities to be met. Together you and your aesthetician will discuss the options and choose the peel that would be ideal for you. This form of mechanical exfoliation enhances your skin’s health by utilizing a physical exfoliation process that will minimize the appearance of pores and blackheads by removing dead, dull skin cells. Restore the complexion’s youthful appearance and overall clarity by reducing age spots, facial veins, pore size, and discoloration remaining from acne. IPL builds collagen leaving your skin looking and feeling, softer, smoother and more firm. Reduce wrinkles and contour the body with the most powerful and effective non invasive procedure available today! This FDA approved device offers a non-surgical solution for tissue tightening and/or fat reduction anywhere on the face or body with no downtime or restrictions. Laser hair removal is a fast, safe and effective way to remove and reduce unwanted dark hair. Monthly treatments recommended until desired results have been achieved. Reduce the appearance of your toughest wrinkles. These neurotoxins relax muscles to smooth crow’s feet, frown lines and fine lines of the forehead. The number of injections will depend on the severity of your wrinkles and their location. Filler injections smooth deep wrinkles, folds and crevices and plump sunken areas of the face. 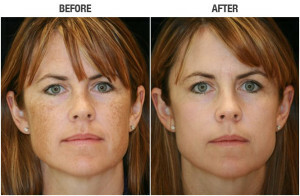 Volumizing fillers aid in restoring a more youthful look.